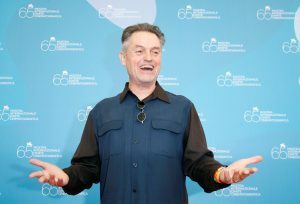 Oscar-winning director Jonathan Demme, who is best-known for the 1991 horror-thriller film “The Silence of the Lambs,” has died at 73 of esophageal cancer and complications from heart disease, IndieWire reports. Demme also made the Neil Young concert film “Neil Young: Heart of Gold” and a 2016 concert film on Netflix for Justin Timberlake. As for “The Silence of the Lambs,” the most well-known of Demme’s films — and perhaps one of the most terrifying films ever made — it is also the first and only horror film to win an Oscars Best Picture. In an interview on the 25th anniversary of the film, screenwriter Ted Tally said the movie “broke all the rules” in being a “talky” and “intellectual” horror film, and for having a woman, actress Jodie Foster, in a lead role. Demme played with techniques such as breaking the fourth wall repeatedly throughout, especially with his psychopath character Dr. Hannibel Lecter. He also shot in night vision when Clarice is stuck in killer Buffalo Bill’s house, and played with eyeline to establish how the audience should view each of his characters. In a collected book of interviews with Demme, when he is asked how he turned words on a page into a movie, he said it was all about interpretation and emotion. “If I get turned on by a script, it’s my job to make the viewers of the movie feel the way I felt,” he said.